Winter is coming to an end, the snow is melting, ice is thawing and nature is in bloom. Spring is upon us, and if you’re feeling inspired, now might be the right time tackle your goal of learning to fly. After all, birds aren’t the only ones who should get to enjoy the skies in springtime! So, if you’re ready to start flight school, here are eight benefits of starting during spring. By starting your flight training during spring, you can be ready to fly solo when summer rolls around. Many consider late spring and early summer the best times to fly because there are fewer days with extreme cold, snow and ice to deal with such as in the winter months. And while aircraft engines may prefer winter with its cool, oxygen-rich air, spring and summer generally offer less inclement weather and fog, better visibility and generally more agreeable flying conditions. As daylight savings passes and the days turn longer, you’re given the gift of more daylight during which to hone your skills. Longer days mean more time in the air, and more time in the air will help you maximize the amount of time you can spend practicing routes, running maneuvers, mastering your flight controls, and conducting multiple take-offs and landings. As a student, you want to work smarter, not harder – and learning to fly during spring will certainly increase the efficiency at which you’re able to hone your talents. More daylight hours also is most beneficial to students since they can only fly in visual flight rule (VFR) conditions and are not authorized to fly at night. As a pilot, your duties aren’t restricted to the physical control of the plane. It also includes the safety of others, as well. As such, the best pilots take-on the mindset of a meteorologist when planning and taking flight, particularly during spring months, when there is a wider range of weather conditions. While you won’t be flying through any intense storms during your private pilot training (unless it’s through a flight simulator), you will learn how to identify and avoid poor weather conditions just by glancing at a radar or reading a weather report. Plus, you’ll have a certified flight instructor (CFI) advising you throughout your training, who will have plenty of experienced tips on what to do during sudden in-flight weather-related problems. Some smaller airports close up shop during the winter, restricting route training and aircraft rental opportunities. Plus, many flight instructors choose to take a break once the weather gets too cold outside. Spring, however, is prime-time for learning how to fly – airports and flight schools open up their doors and welcome a litany of excited students that have eagerly been waiting for the snow and ice to thaw so they can take to the skies. The sense of spring rejuvenation also is present in the sense that people are feeling refreshed and ready to take on a new skill. During winter, particularly in our home state of Minnesota, we’re constantly dealing with ice throughout the winter. And for days that don’t have ice, there is often an insurmountable plane of stratocumulus clouds that require instrument flight rules (IFR) clearance to get above. This can still be a “go” situation for maneuvers, but makes ground-based navigation impossible to practice. In springtime, the ice thaws and stratocumulus clouds dissipate, leaving you with a better learning environment and a clearer view. As the old saying goes, “April showers bring May flowers.” While that can be true, sometimes those April showers can transform drastically into dangerous thunderstorms. These storms can bring turbulent air and strong winds, causing delays and wreaking havoc on planes flying in the air. Part of your training is being an expert at recognizing these storm patterns, both by eye and through use of technology like apps, so you can keep yourself and others safe. And, because thunderstorms are most frequent during spring, you’ll quickly become a pro at identifying and hopefully avoiding these risky conditions. It’s generally thought that students who do ground training—the required “classroom side” of the pilot training process—and flight training simultaneously have more success in flight school. This is due to the fact that you can actively apply the things you’re learning on the ground in the air. The information stays fresh in your brain, and you’re often eager to put new skills to use. 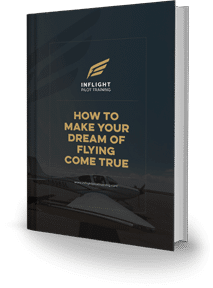 Plus, this gives you a quicker path to becoming a licensed pilot, getting you through the training program and onto completing your checkride test faster. 8) It’s the Best Time to Learn to Fly! With nature in bloom, wildlife awakening from hibernation, the weather warming by the day and summer right around the corner, spring is arguably the best time to learn to fly. Viewing nature greening up from the skies is a unique experience, so what better time to take on a new challenge than during the springtime revival? Do you want to learn to fly this spring? Get in touch with Inflight Pilot Training today! 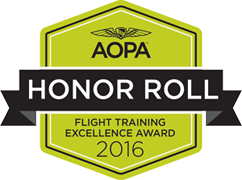 We are a leading flight instruction company in Minnesota. With a reputable training program and an extensive roster of highly skilled, certified flight instructors, we can help you gain the skills needed to become a private pilot.